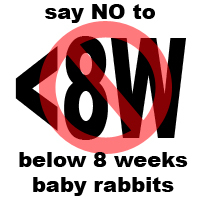 Rabbit Nutri-Drops is one the best supplements available and have known to save lives! While it can be used as a remedy for rabbits going off feed, it is as effective when used as a daily supplement. I personally wish I had this wonderful supplement when I first started raising Holland Lops so that I could have a chance to save my favorite bunny from succumbing to G.I. Stasis. 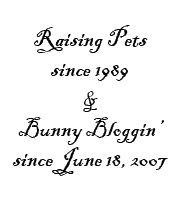 Since I have found Rabbit Nutri-Drops, I have saved numerous rabbits in my rabbitry and by making it available to fellow rabbit lovers, it has helped numerous pet rabbits recover and stay alive. One good example is the story of Pixie Blue. Those who have used and seen the results swear by Rabbit Nutri-Drops and I highly recommend it to all rabbit owners. Please read testimonials here.